As many of you know I am a big fan of intense books and books with a tough subject matter. Psychiatric wards and mental health are high up on that list, so I was glad to have come across this book. Having lived in the 1970s, I could relate to the setting. I always imagined I would work in social care when I was younger, but chickened out in the end, fearing I might not have what it takes. In this book, a young idealistic doctor tries her best in a psychiatric ward. What she witnesses is shocking to her as it will be to the reader. Drawing the line between professional commitment and personal involvement must be hard in the sector and our heroine finds this difficult, too. Throw in superiors and personal problems and you have a rich novel full of moving, harrowing and interesting moments. Very recommendable. It’s 1972. Women are breaking out, families are breaking down, and men are trying to hold on for the ride. Dr. Joanna Bereza is a psychiatric intern who wants to have it all: a career, a loving marriage, and a family, but her passion to do what’s right sets her against a system that’s as stuck as the people it treats. On ward 2B, Joanna becomes obsessed with the treatment of two women: a mute young mother suspected of trying to kill her baby and a feisty old woman who’s been through the mill one too many times. Blinded by her obsession, Joanna not only neglects her own husband, but in trying to stop her patients from getting shock treatment, she also puts her career in jeopardy. Further complicating matters is the seductive senior resident who looks more like a hip rock star than an aspiring shrink. Shadowing Joanna’s work is her own unresolved grief over something that happened when she was a child. 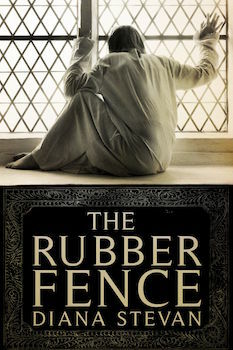 The Rubber Fence was inspired by the author’s experience as a family therapist on a psychiatric ward. Diana Stevan is from Winnipeg, where she got her Bachelor’s degree in Home Economics and a Master of Social Work with honours. Having worked as a professional actress, model, family therapist and CBC television sports broadcaster, she uses her experience to weave her stories. Her time-slip novel, a romantic mystery/adventure, A CRY FROM THE DEEP, was published on October 15, 2014. 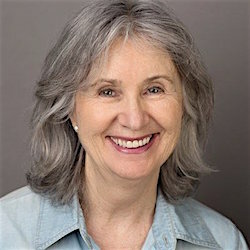 On March 15, 2015, she published her novelette, THE BLUE NIGHTGOWN, a story about family life in the 1950s and coming of age. Her second novel, THE RUBBER FENCE, inspired by her work on a psychiatric ward in 1972, is now out as both a paperback and e-book.